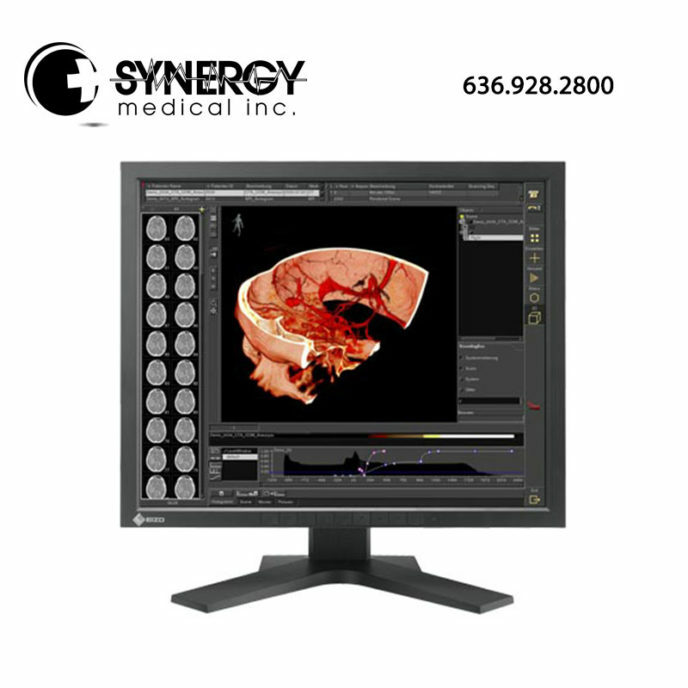 The Eizo RadiForce MX191 medical display monitor is calibration compliant with the DICOM Part 14 standard. This high cost performance narrow bezel 19″ monitor presents a space-efficient and high-volume installation solution to the space limited environment. To ensure the most accurate and consistent shadings possible, Eizo carefully measures and sets every grayscale tones on the production line to produce a monitor compliant with DICOM Part 14. Eizo ScreenSlicer is a monitor software utility that allows an entire screen to be effectively used though partitioning. Multiple windows can be easily aligned and dropped into the partitioned areas in single- or multi-monitor environments for convenience. Selectable with the front panel buttons, the CAL Switch function allows for various calibration modes of different modalities such as CR, CT, and endoscope images. Furthermore, auto mode settings can be made with the Auto CAL Switch function. For more information on the NEC MDG5-BNDN1, please visit eizo.com.